I bet there are million people have thought about this business mode: import good products from China and sell to different market places in US. Although it’s easy to find product suppliers on Alibaba, still a lot of people give up this business plan, because they don’t know methods and cost for shipping products from China to US. The truth is over 90% product suppliers on Alibaba are not professional on all shipping methods, so they are more likely to over charge on shipping cost. Or many of them prefer you use own freight forwarder to pick up cargo at their warehouse or at the port of China. That sounds quite discouraging for people who are new to import from China. So, I wrote this article to help you understand the estimated cost for using 7 main shipping solutions from China to US. Thus you can do the math by yourself, to decide if a product is worthy to import, or which shipping solution is most cost-effective. NOTE: The shipping cost for each shipping method is not fixed. The article only provides you with a reference range of shipping price based on my industry experience. Which Express Company is Better? Express Shipping Costs from China to USA. Dimensional Weight VS Real Weight? The Differences Between Air Freight and Express. What is All-Included Air Freight Cost to US. The Cost Breakdown Of Air Freight. LAST Part How much does epackage or postal parcel cost? What item is suitable? There’s plenty of information on Google regarding the Express companies like Fedex, UPS and DHL. Therefore, I am not going to waste your time listing the top Express courier’s here. What type of goods can be transported via express? Express is a relatively easier mode of transportation when compared with sea or air freight. And which is also fastest shipping from China to US. Firstly, you won’t have to bother about custom clearances or duty payment, etc. Secondly, whether you are getting the goods delivered to the east of United States, or the west, delivery fees will likely be the same. Therefore, all you have to do is find an express company that gives you a reasonable quote and wait for the goods to be delivered to your address. In fact, 95% of the product samples and small amount of high-value goods are shipped by express. Mostly, express delivery is highly suitable for online sellers who are in a hurry to restock, like Amazon sellers. You’ve all heard of Fedex, UPS, DHL. But which one is most reliable and cost-effective for shipping from China. I definitely recommend Fedex and UPS. In general, DHL’s customs clearance process is slower than that of Fedex and UPS. Furthermore, sometimes DHL’s shipping cost from China to US is also relatively higher. 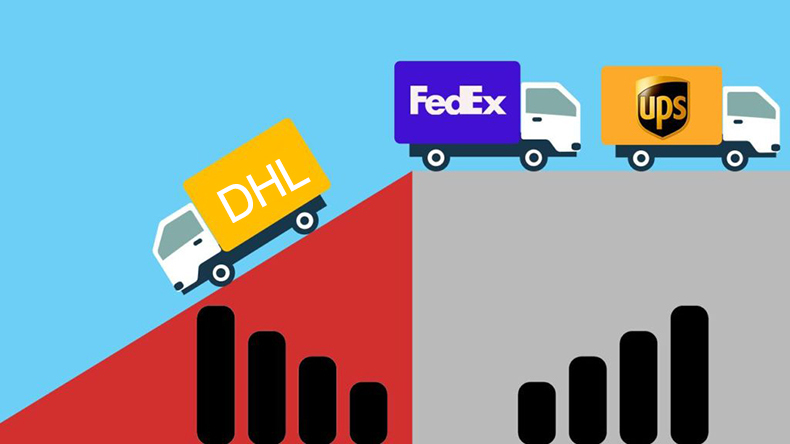 As for the shipping cost of Fedex and UPS, you have to ask your Alibaba supplier or your freight forwarder to provide you with a real-time price, then choose a cheaper one. Compared with sea freight, the shipping cost of express is quite unstable and may even change every week. The shipping costs quickly escalate during the high season like a month before Christmas and Thanksgiving. While at the same time, the costs may drop significantly during the low season. Keep in mind, whether Fedex,UPS or DHL, the official price is generally higher. Also, every express company offers different discounts based on the annual shipments of the shipper (your supplier, or freight forwarder), which further influences the prices. If your Chinese supplier doesn’t often use Fedex to ship goods from China to the US, he can find an express agent with discount and ask him to ship the goods to the United States. So, you’ll get a lower shipping cost. The difference in the agents’ discount also influences the cost of express delivery. Moving on to the price estimate for Fedex delivery. Although, the delivery charges often fluctuates but the price of Fedex still floats within a specific range. Using the reference price I provide in this post and factoring in the other influencers discussed above, you can easily determine the cost of delivery to your address. 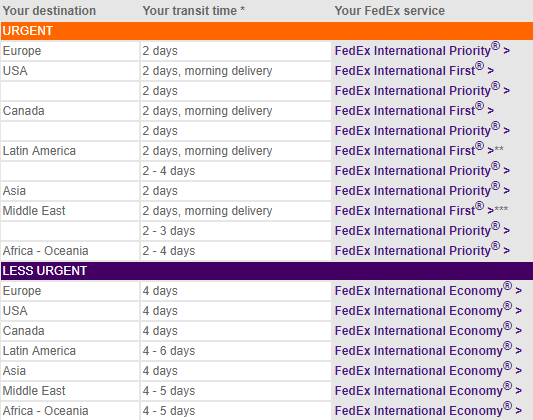 Fedex offers International Priority and International Economy delivery, also known as IP and IE. Transit time for IP is faster than IE. In general, IP takes 2-3 working days, and IE takes 4-6 working days. I call it small package below 20KG, and cargo above 21KG. Refer to the tables below to check out the price estimate. The tables above clearly shows that IP delivery is more expensive than IE. So, generally, Fedex IP is the best choice for sending product samples. However, if it is CARGO >21KG), I suggest you choose Fedex IE. In addition, please note that the goods containing lithium batteries, powder and liquid are not allowed to be shipped by official Fedex. Some express agents will help you ship the goods to Hong Kong first. And then ship them to the United States by Fedex or DHL of Hong Kong. Of course, the cost for shipping such sensitive goods is more expensive, usually around $10/kg or more. For express and air freight, you should pay special attention to the problem of charged weight. So, is charged weight calculated by the “kg” – its real weight or its real volume? If the volume of the goods is larger than its actual weight, charges are applicable according to the volume. 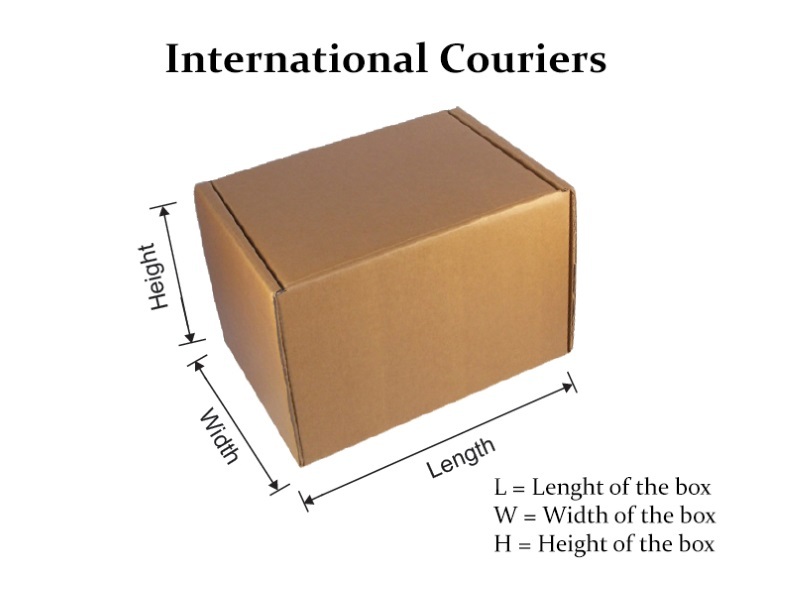 For instance, if you ship a huge foam of 100cm x100cm x 100cm, which weighs 20kg. Then the express company will definitely not charge you by its real weight (20kg). Since the size will of the package will be large and will occupy significant space. Interestingly, the charges are not calculated as per the volume as well. The costs are actually determined by dimensional weight. Dimensional Weight = Length(cm) x Width(cm) x Height(cm)/5000. Let’s go back to foam example. Suppose you need to ship 1 piece of a large 100cm x 100cm x 100cm foam weighing 20KG. What will be it’s dimensional weight? Its dimensional weight is far larger than its actual weight. Hence the express will charge you by 200kg. The charged weight for all the goods are calculated in this manner, and then the dimensional weight is compared with the real weight to determine the charged weight. As for customs duties, if the value of goods is less than $800, it is duty-free by Fedex. One last thing, If you ask your supplier to help you ship goods by Fedex, it’s better to pay the fee to your supplier in advance. Even if you have a Fedex account in the United States, you should not pay the freight until you sign for it, because it will be very expensive. After covering the cost estimates for express delivery, let’s move on to air freight. Essentially, both air freight and express use plane as a tool to ship the cargo. Wondering what’s the differences between the two and when do you choose express and when do you choose air freight? Don’t worry, you’ll soon know the answer. Undeniably, express delivery is quite simple and straight-forward. But what about air freight? Shipping via air freight is a bit more complex and its import and export procedures are similar to the traditional sea freight. 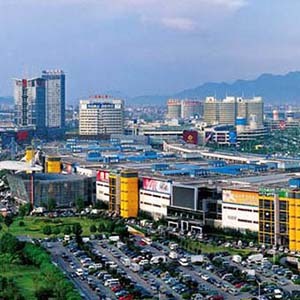 Local logistics in China and export process. Air shipping from Chinese airport to American airport. Local logistics in USA and import process. Usually, if you have more than 500 KG of cargo, choosing air freight is cost-effective. At the same time, if your cargo quantity is below 300kg, you may not want to consider air freight as express offers a better choice. Now, what if the cargo quantity is between 300-500kg? At this time, I will not recommend either air freight or express. The price of air freight is always changing just like the express prices, so, it’s impossible to say which is cheaper. It all boils down to the real time prices. There are also lots of irregular discounts for express. For example, Fedex is cheaper than air freight if the plane of Fedex has many empty space left. As mentioned above, if the cargo quantity is more than 500kg, you can ship by air freight. But what about the cost of air freight? Whether you are planning to consult a freight forwarder or are dealing with an Alibaba supplier, it’s essential that you ask for the price for the whole shipping process. It is the all-included price, which includes the cost of shipping from China airport/port to your door. As stated earlier, the shipping process for air freight includes three main steps. It’s important to decide beforehand whether you want to ship your goods to the port of your country or have them delivered directly to your door. 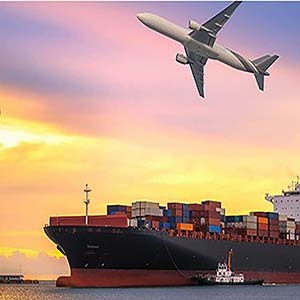 At times, some freight forwarders or suppliers only quote you the price of shipping from the China airport-to-destination airport in order to attract you. Obviously, such prices seem low at the beginning but there are hidden charges. It does not include some customs clearance costs and domestic land costs. Of course, air freight is the same as express, and its price is also subject to real-time changes. Here, I will give you an air freight all-included price range. More than 500kg, and the all-included price by air freight is around $5.5/kg. In order to make an intuitive comparison with the express, I will also give you the express price here, $6.5/kg. Note, this price I gave you doesn’t include the local logistics cost in China (From China factory to China airport). Shipping time for air freight =Time required for booking shipping space+flight time+Local delivery time in USA. It usually takes 4-7 days in total. If you are a newbie, you can just seek help from your China supplier or freight forwarder in shipping the goods. Just keep in mind the shipping costs that are mentioned in the article, and you’re good to go. However, some importers carry out the shipping process on their own. So, the next part will surely interest you. Similarly to Express, air freight has its own calculation formula that you can use to calculate the charged weight of the air freight. So, if you’re shipping your goods yourself, you should know the cost of each part of the air freight as it’s not just an all-inclusive price. 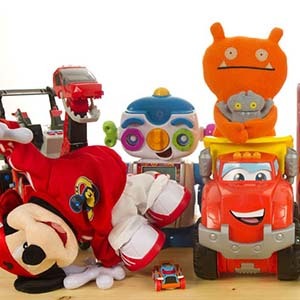 Usually, while sourcing products from Alibaba, most of the suppliers will quote you FOB price. This means, your Chinese supplier is responsible for the transpiration from a Chinese factory to the Chinese airport. The cost from China airport to an American airport. The cost from American airport to your door. Also, there are other costs as well including Chinese export costs and American custom clearance costs. However, for the accurate cost of American customs clearance and local logistics in the USA, you have to ask your local freight forwarder. Additionally, there is also a little difference between the cost of air shipping from Chinese airport to American airport and sea freight. As it depends on the type of cargo and the destination airport, there is a great variation in the cost. That’s all for FOB. No, let’s move further to EXW. It means that one more step will be added to your FOB and you’ll be responsible for the transportation from the Chinese factory to the port of shipment in China. It implies, besides the cost of FOB, you’ll also have to add on the cost for logistics in China and export process. As you can see, the cost of air freight is not fixed, and there are some additional costs that you’ve to consult by yourself, it makes your estimation very complicated. For a rough calculation of shipping costs, you can refer to the price of FedEx. Now, let’s move on to sea freight. The sea freight is the most complex shipping method. But, you need not worry as this guide will make the process simple and clear for you. If the quantity of your goods exceeds 2CBM, you should consider sea freight. firstly, this guide will provide you with an all included price so you can compare the prices and roughly calculate the shipping cost. This cost includes the delivery to your door but excludes the local logistics cost in China. NO HURRY, before that, I have something else to show you. The cargo shipped by the sea freight is carried out in containers. If the quantity of your goods is small and its volume is less than 15CBM, the freight forwarder will help you ship your goods by LCL. It implies you have to share a container with other importers because your cargo load is less than a container. LCL use CBM (Cubic Meter) as the unit to calculate the freight. FCL is when your cargo quantity is large enough, and you can fill one or more containers. In this case, the freight is calculated on the basis of the whole container. Generally, it will be cheaper than LCL freight. Again, this price mentioned here will help you in roughly calculating the shipping cost. For a bulk cargo, i.e. LCL, I’ll provide the price for the western United States, middle states, the eastern United States for your reference. However, for the FCL price, I can only provide the cost of Los Angeles port for your reference. This is because the cost from China to the different American port varies a lot. And, there are more than 100 ports in the US. Besides, the sea freight fares are changing in real time that is determined by the shipping company. So, if you want to know the specific cost to your port, you can directly ask our customer representative. 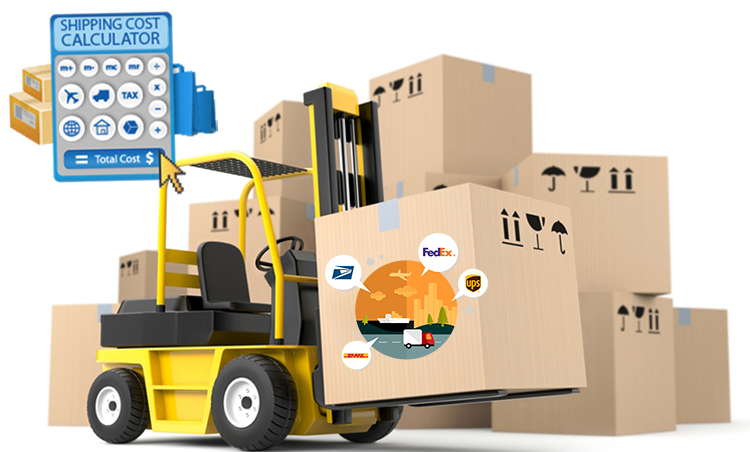 They can help you with contacting the shipping company and offering you a real-time quotation. And, here’s how you can estimate the shipping cost of your products based on these. It’ll also give you a better estimate of the profit of your products. So, how do you calculate freight rates? Here is a real life example, you want to purchase 400 red wine glasses from China, and the size of the red wine cup with the package is 19cm x 23cm x 19cm, which you want to ship to Los Angeles (western United States). So, the total shipping cost will be $310*3.3CBM=$1,023. The all-included price is just to help you calculate a simple and rough shipping cost. So, I’ll divide the sea freight process into three steps and show the cost in each step. If you want to know everything about the sea freight process and its price, keep reading. Or, just skip to my last part of this guide. As discussed in Air freight, let’s read about the composition of sea freight under FOB and EXW. Now, you must be wondering why these two again and not any other trade form. Well, 90% of the trade is done under these two terms. For example, suppliers usually offer you a FOB and EXW price when you source products on Alibaba. Honestly, the EXW price is just the product cost, which means your supplier won’t help you ship the goods to the port of the shipment. However, the FOB price includes the cost of the product and the local logistics cost in China (Chinese factory to the port of shipment). Now, let’s see the same through a formula for a much clearer overview. 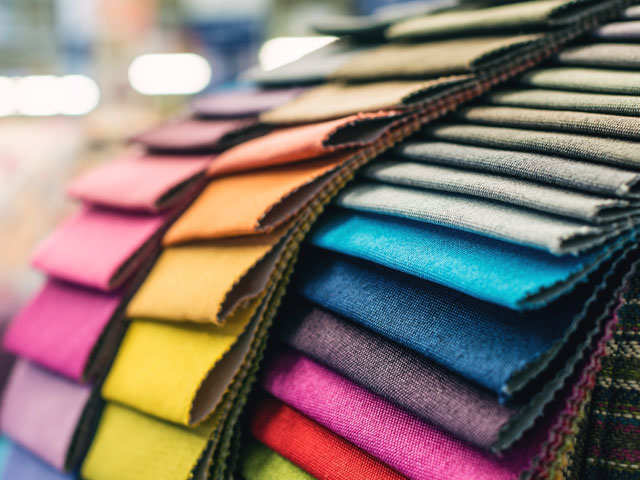 In FOB, your supplier will help you ship your goods directly to the port of shipment. On the EXW basis, your supplier will not help you ship the goods to the port of shipment. As you are now familiar with the components of total shipping costs, let us learn some more about the cost of each part. Cost in China: It includes the cost for the factory/supplier to ship your goods to the port of shipment and China export cost. If it is bulk cargo (Goods quantity is less than container load), the price will generally be around $10 -$30/CBM. It depends on the distance from the factory to the port, and the volume of the goods. Smaller the volume, expensive the freight will be. China export cost: It includes booking costs, export operating costs and customs documents costs. It is generally around $100-$300. If it is LCL (bulk cargo, less than one container) the cost will be $100-$200. However, if it is FCL (Full container load), the cost is about $300. Cost for ocean freight is the cost from Chinese port to America port. Similarly to air freight, the ocean freight is quoted by the shipping company, and the price is not fixed. For a real life example, when you book an air ticket, you’re most likely to get a 50-60% discount if most of the seats on the plane are vacant. But, in the peak season, tickets are quite expensive (Full price). Also, the price of the shipping cost to the United States east, middle and west of the different ports are different. As there are more than 100 ports in the US, it’ll be difficult to give all the prices. Below is the list of the prices of Los Angeles and New York. The actual cost depends on the real-time quotation by the shipping company. Remember the 20”GP and 40”HQ？20”GP=28CBM，40”HQ=68CBM. Cost in the local US: It includes US customs clearance, customs duties and local logistics cost in the US. For this cost, you must consult an American customs clearance company or a local freight forwarder as it is a much simpler and more efficient way. Let’s move on to the next part of the article. Now, what are SFUC & AFUC? Generally, the shipping time for sea freight is about 30-45 days. Besides the shipping time on the sea, the local logistics in the USA is also quite slow. Now, the question arises, is there a faster and cost-effective way than traditional sea freight? To remedy this problem, many Chinese freight forwarders are providing such shipping method. They will help you ship the goods to the nearest port to you in the same way as traditional sea freight. But, unlike traditional sea freight, UPS is responsible for the local logistics in the US. It means transporting goods to your address as soon as the goods arrive at the port. This makes the whole shipping process at least 10 days faster than the traditional sea freight. Not all freight forwarders provide this service, so there is no unified English name for this type of transportation. But, I prefer to call it Sea Freight UPS Combined– –SFUC. Now, let’s check out the price. Note: For some goods with high taxes like textiles, hardware and accessories, some freight forwarders will charge you extra, i.e. $0.3-$0.4 per kg. Now, you must be wondering, why doesn’t SFUC use CBM to calculate the cost? 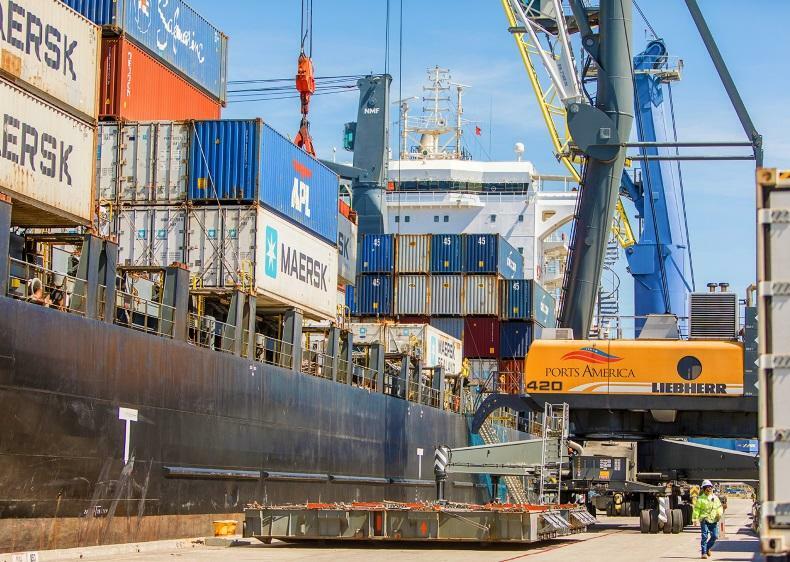 It is because after arriving at the port of the US, UPS is responsible for the delivery, unlike traditional sea freight that is delivered by a truck when your goods arrive at the port. 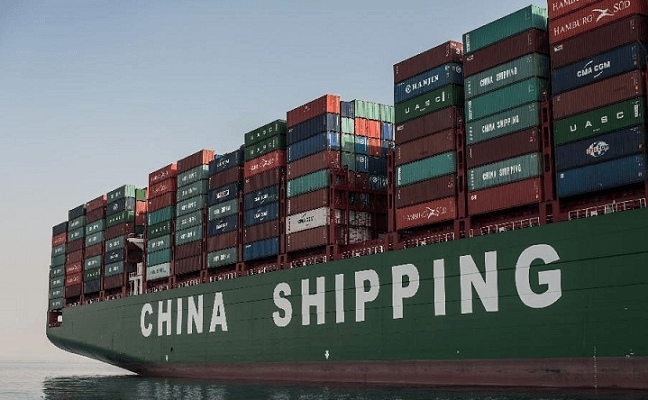 As the express(UPS) is calculated according to kg, the shipping cost of SFUC is also calculated by kg, not using the CBM or container in traditional sea freight. Therefore, SFUC is one of the main shipping methods directly from China to Amazon FBA because of its fast shipping time and efficient customs clearance. Although express is fast, it’s very costly. Of course, there is a way. Like SFUC, UPS is also responsible for the local delivery of goods within the United States after your goods arrive at the airport. It is called Air Freight UPS Combined. Let’s check its price in the table below. The exact price is subject to the real-time quotation. Express takes 3-5 working days, and air freight takes 4-7 working days. However, AFUC takes 11-15 working days. Also, AFUC is not a mainstream shipping method. But, if there is an urgent replenishment for Amazon FBA or other e-commerce platforms. AFUC will be considered due to its cost-effective cost than express and much shorter shipping time than sea freight. Finally, here’s the last part. I bet there are many people have heard about ePacket or China Postal Parcel, and believe these two are one type of cheapest shipping solution for sending from China to US. But very few people on internet has introduced what is the rough cost for using these methods, and how to use. These two methods are only useful for people who are doing dropshipping business, because they are cheap but very slow, and only suitable for very small packages (less than 2kg). When you want to ship a small package which is around 2kg weight, then it costs you $45 for sending by FedEX IP. So, ePacket is a better choice, which is an economical International express service of China Postal Express & logistics. Okay, let me give you an intuitive sense of what this service is. You must have shopped on eBay or Aliexpress, right? Many cheap Chinese products are shipped directly from China to your doorsteps. Yes, the sellers transport the products via an ePacket. Now, read on to get a better understanding of the ePacket charging standard. Take note that the delivery costs for each country vary. Here, we are only going to discuss the ePacket delivery costs from China to the United States. Maximum size: Length + Width +Height <90cm，The longest side ≤ 60cm。If it’s round roll shape, its diameter x 2 + Length ≤ 104cm，and its length ≤ 90cm. Minimum size: The length ≥14cm，the width ≥11cm。If it’s cylinder shape, its diameter x 2 + Length ≥17cm，and its length ≥ 11cm. For example, one lipstick with package is 120g，then the total cost, $2.17 (Fixed Fee/package) + $0.009 x 120g = $3.25. If a very small-light item, like a marking pen, which weighs around 35g is to be shipped then the shipping cost is, $2.17 + $0.009 x 50g= $2.62. That is to say, if it is less than 50g, the cost shall be calculated according to 50g only. You see, isn’t it easy to calculate the cost? Now that you understand the cost let’s move on to shipping time. In the US, it usually takes you about 8-14r days to receive a package. In exceptional cases, after 1-2 months, you’ll receive nothing. Unlike express, ePacket clearance is a quick process in which the goods go through the customs in bulk and usually leave the port within 1-2 days. But during the busy seasons, many packages are simply stranded at the airport for a long time and hence the shipping time accelerates and may be delayed by 1-2 months. So, the shipping time of the ePacket is very unstable. Additionally, if the barcode of a package is damaged during transportation, the package will be stranded at the airport, and cannot be tracked in time. In many cases, you won’t know where your package is, and it may get lost in transit. Are you thinking about claiming compensation from ePacket for your lost package? Well, it’s about time to remind you that ePacket doesn’t offer a loss claim. 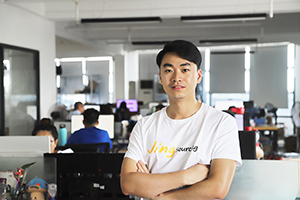 Get ready to hear the official of ePackage say that the average shipping time is 7-10 working days, and China post does not provide any compensation for delays beyond that. Wondering if ePacket ships all types of goods? Certainly not! 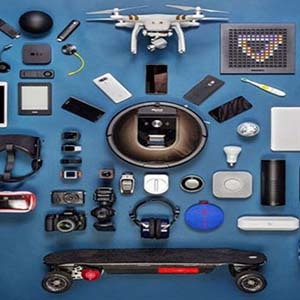 Powder, liquid, flammable and explosive goods, and other dangerous goods, as well as alcohol and tobacco, cash and securities, infringing products, etc. Now, you’ll ask me, with so many flaws in ePacket, why does anyone choose this shipping method? Well, despite all its drawbacks, ePacket offers an economical shipping service. Many people are willing to bear the risks to save money. For instance, people who do dropshipping, tend to use this shipping method. I don’t want to put down this shipping method, but the fact remains that its shipping time is pretty unstable. Plus, unless you have insurance, China post won’t even compensate you if your package is lost. Moreover, this shipping method is not the most popular shipping method in China. There are only a few sellers on e-commerce platforms who use this method. 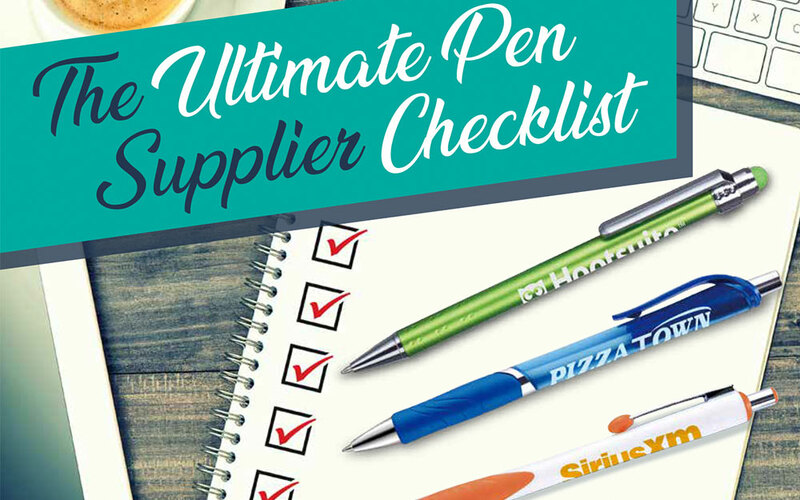 For example, you are from America and want to buy 100 carbon pens from Aliexpress or Dhgate. The total weight of your package is about 2kg. You are not even in a hurry to receive the goods and considering it’s costly to ship via express; Postal Parcel becomes a good choice. Even if the package is lost after 1-2 months, since the value of goods was not high, you will not lose a lot. The shipping time by sea is 1-2 months. The shipping time by air + sea is about one month. It will take about 15 days by air. All shipping times do not count the time spent in customs. China Post would not guarantee delivery time. For the price of Postal Parcel, you can check out its official website by translate.google.com, and you’ll see the following image. Enter specific information here, query price. Note: The maximum shipping volume for post small parcels is 30kg. If you ask me, what is the cheapest shipping from China to USA? Then I’ll say opt for Epacket and China Post Parcel if you have a small parcel of low value. However, you must accept the risk of loss of goods and long wait. Hope you got lots of valuable information through this article. And I was able to resolve your confusions surrounding the topic. However, if you are still confused and have any queries just let me know by leaving a quick comment below. I’ll make sure all your questions are answered. Thank you for your so detailed guidance! im a newbie in importing goods, and some confused in choosing which delivery method for my cargo, now feeling some clear but still need you guys’ help. Looking forward to your hear your professional suggestions! Hi Andrew, there are different delivery methods for different goods. Usually you can choose express, air freight and sea freight , depending on the weight and cbm of your goods. 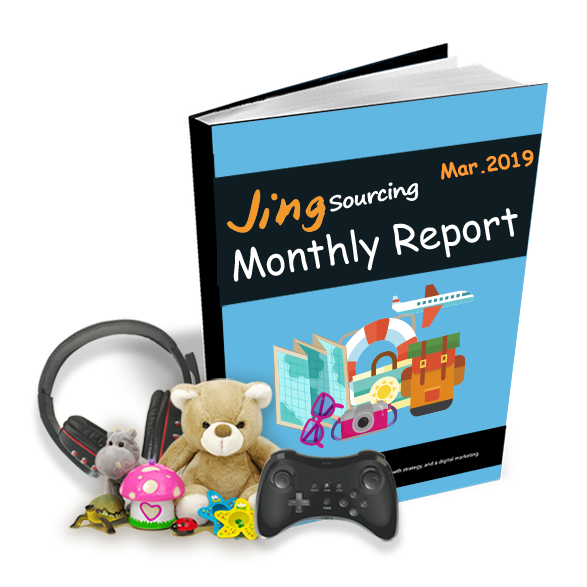 For more detail suggestion, pls contact us at https://jingsourcing.com/submit-ticket/. I‘d like to consult the sea freight，let me know if I can submit request on your product sourcing page. Thanks，jing，all details in this guide help me a lot. Of course, Christopher! You can also email us, [email protected]. When will you shipping goods? We will consult the shipping company about the real-time price on your behalf. Look forward to helping you later.